Hamar is the largest city in Hedmark county. With a population of 27000 inhabitants, it is an important administrative and commercial centre in the Eastern part of Norway. The city, as you see today was built up during the early to mid 19th century, but already in medieval times Hamar was an important political centre. 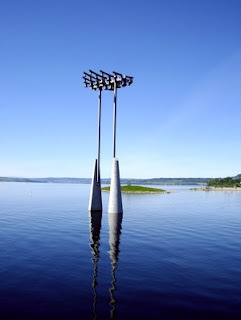 This as it is situated by Mjøsa, the largest Norwegian lake, along an important part of the trade route from the fertile agricultural areas to the the east coast. During medieval time it was an important stop for the pilgrims travelling up to Nidaros Cathedral to pay homage to Saint Olav, the Patron Saint of Norway. I visited my friend Øyvind and Stian, and they took me around to see the sights of Hamar and the countryside around the city. I will the coming week show you what is left of the city's medieval past. The ruins of the large cathedral and what once was the fortress built to house the bishops of Hamar during the middle ages. I will also take you to a haunted medieval chapel hidden in the middle of the forest. The fertile area by Mjøsa has been the most important bread basket of Norway. Here you find wide fields with grain, potatoes, vegetables, or pastures used for milk or meat production. Some of the largest estates in the country are found here, and large manor houses with a history going far back in time. The area is also the home of one of the most famous Norwegian export articles. At Løten you have produced some of the most famous brands of akvavit (akevitt). Among the best is the Løitens linie, matured in oak caskets as it is brought on ships over the equator to Australia and back. 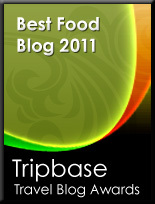 And I will share some culinary memories. Knutstad & Holen is one the best fish mongers in the middle of the country. We bought some halibut and prepared in an nontraditional way. 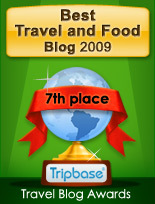 So visit Enjoy Food & Travel in week 28! !